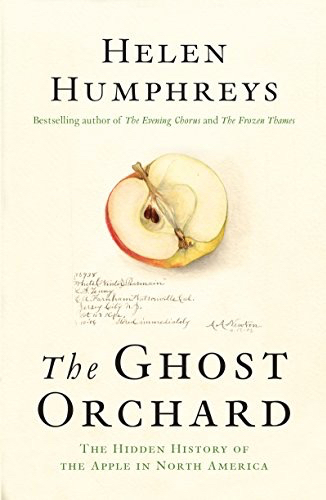 The Ghost Orchard, by Helen Humphreys takes an in-depth look at the history of a food we all take very much for granted: the humble apple. What impressed me most about this book, however was not just the detail and the painstaking research that went into this work. What struck me most was the non-whitewashed version of history that she presents. For readers of H is for Hawk and The Frozen Thames, The Ghost Orchard is award-winning author Helen Humphreys’ fascinating journey into the secret history of an iconic food. Delving deep into the storied past of the apple in North America, Humphreys explores the intricate link between agriculture, settlement, and human relationships. With her signature insight and exquisite prose, she brings light to such varied topics as how the apple first came across the Atlantic Ocean with a relatively unknown Quaker woman long before the more famed “Johnny Appleseed”; how bountiful Indigenous orchards were targeted to be taken over or eradicated by white settlers and their armies; how the once-17,000 varietals of apple cultivated were catalogued by watercolour artists from the United States’ Department of Pomology; how apples wove into the life and poetry of Robert Frost; and how Humphreys’ own curiosity was piqued by the Winter Pear Pearmain, believed to be the world’s best tasting apple, which she found growing beside an abandoned cottage not far from her home. In telling this hidden history, Humphreys writes movingly about the experience of her research, something she undertook as one of her closest friends was dying. The result is a book that is both personal and universal, combining engaging storytelling, historical detail, and deep emotional insight. I live in Norfolk County, where it is pretty easy to take something like apples for granted. We have 1100 acres of orchard and account for almost 12% of Ontario’s apples. FInding an apple in your lunch is no more noteworthy than the sun rising. But it was not always so in North America. The Ghost Orchard explores how such an every day food item become such a staple. History, as they say, is written by the winners. As time goes on, we uncover more and more of the viewpoints that were hidden away. That is perhaps the most fascinating part of this book. Humphreys’ handling of the often brutal interactions between the European would-be settlers and the Native tribes is refreshing. There is no way to sugar coat the burning of entire villages, the destruction of entire apple orchards, and the murder of women and children. And the author does not try to. Handled with similar starkness are the stories of the Quakers and their part in cultivating today’s orchards. Under the guise of ’spreading the Word’, pairs of women were able to travel freely across the known world. It is this freedom that allowed Ann Jessop – also known as Apple Annie – to propagate so many different apple varieties here in North America. Conventional wisdom is that we eat first with our eyes. The Ghost Orchard includes several full colour reproductions of the apples that were painted on behalf of the US Department of Pomology. I find it both fascinating and dismaying that we have strayed so far from a time when art and science worked hand in hand. What I found far less interesting was the mini-biographies of the painters who were responsible for capturing the White Winter Pearmain – the apple that started the author’s search. In today’s battle between food growing philosophies, The Ghost Orchard is important reading. We must know where we have come from if we are to forge a solid path into the future.